« Do we all need to be a Circus Act? “Everyone is happy” we heard the old gentleman say to the person he was with as we walked past him on the street. “Everyone is happy” he repeated, this time a little louder to make sure what he was saying registered with his buddy. This was the main street in Tipperary town, and the “It’s a Long Way to Tipperary” Festival that our client , Tipperary Co-op were sponsoring was in full swing. We had just left the Tipperary Co-op Hardware store, or Top Creamery as the locals know it and there was a great buzz with threshing, old kids games, people enjoying the BBQ and of course plenty of banter. I spoke to a friendly gentleman from Rossmore called Liam O’Dwyer who was giving a blacksmith demonstration – he had an incredible display of old signs and as part of this was an old “Death Penny” from World War 1 (I’ll tell you about that in a separate blog!). In our stroll down the town the locals were in full spirits, stopping to chat and enquiring where we were from. A old woman stopped me and I had to sign a book that apparently promised her a dance later! We popped into a small shop that had a full display of war memorabilia including war posters and a full history of the iconic song. Once again we were overwhelmed by the friendliness and warmth of the people there. The immortal song was made famous during World War 1 by the soldiers all over Europe. Making the whole festival (which was celebrating 100 years of the iconic song) really special and great fun was that many people in the town were dressed in costume from that era. When we arrived in the town we had parked at the other side and walked all the way through. There were vintage cars, old tractors and motorbikes, people dressed up, everyone posing for photos, posters and banners and a fabulous, genuine “feel good atmosphere“. Before we left the town we popped into the Tipperary Co-op owned SuperValu, which had its own exhibitions, competitions and the team there joined in the spirit of the festival wearing clothes from that era as well – all except for Pierce, the manager of course! 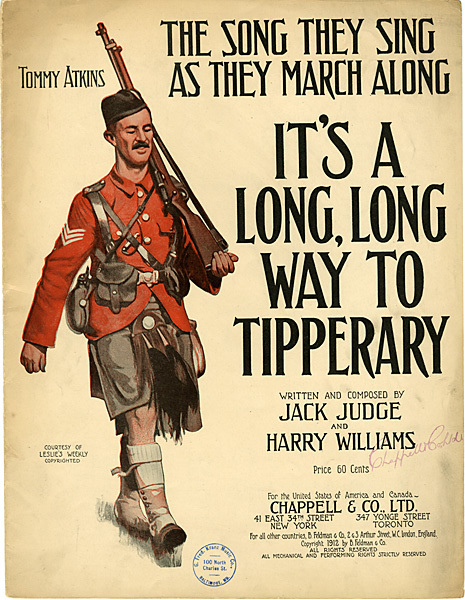 When we were there we were chatting to the guys from Tipperary Co-op, Richard, Pierce and Tom. They were thrilled with how their sponsorship of the festival had worked out but more than that they explained how the festival seemed to “unlock” a sense of spirit and fun in the town that seemed to have disappeared over the last few years through a mixture or recession, bad weather and general worries. Maybe, everyone took a step back and grabbed onto some old values from a time when life was a little simpler. As the old gentleman had said ..”Everyone is happy“. This entry was posted on July 14, 2012 at 5:39 pm and is filed under Entertainment, Hospitality, Ireland, Marketing, Positivity, PR, Tourism. You can follow any responses to this entry through the RSS 2.0 feed. You can leave a response, or trackback from your own site. what a lovely positive blog Greg! I feel like i’ve really missed out on something special not having been there. You really captured the moment Greg. Thanks Pierce – it was a really special festival. 2013, Bring it on !! Celebrating a festival is really a special moment for everyone. You described that moment very nicely …. thanks for the feedback – we felt privileged to be part of it. Great article Greg. 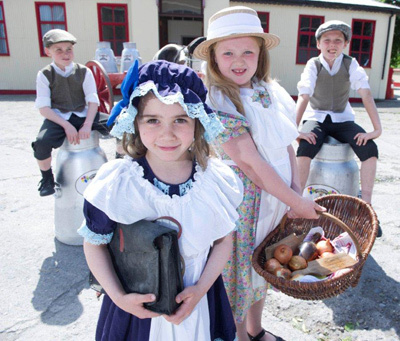 I’m living in Cork but am from Tipp Town, and live up near the “Top Creamery” 🙂 Great to read an article on the festival from someone outside of the town. Well done!